This time of year is the best. Apples are everywhere and they taste so yummy right now. I am looking forward to apple picking season! Even though we eat apples year-round, there is something special about picking fresh apples in the fall. Use all of your fresh apples to make something yummy! 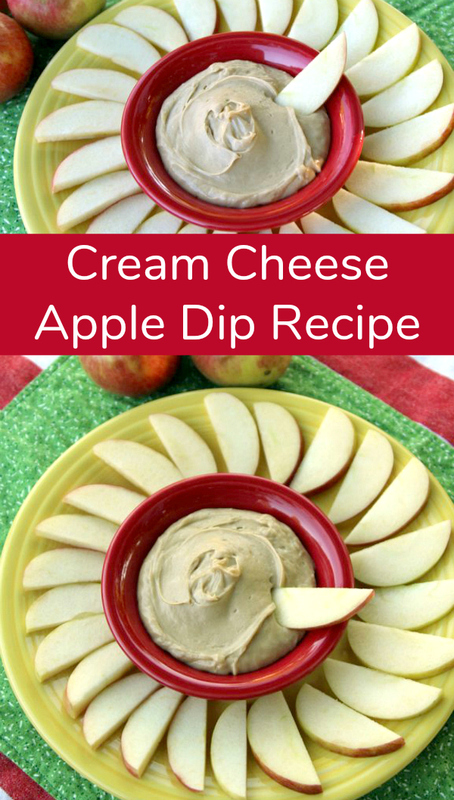 We love making this sweet cream cheese apple dip for parties or play dates – or Friday afternoons! 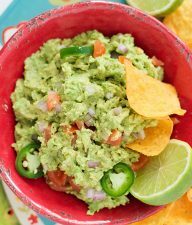 It’s one of my go-to potluck recipes that is a hit with kids and adults, and someone always asks me for the recipe. Luckily, it is so simple that I have it memorized for easy sharing! Cream cheese apple dip takes only 4 basic ingredients and comes together in a flash. Slice up a few apples and enjoy! 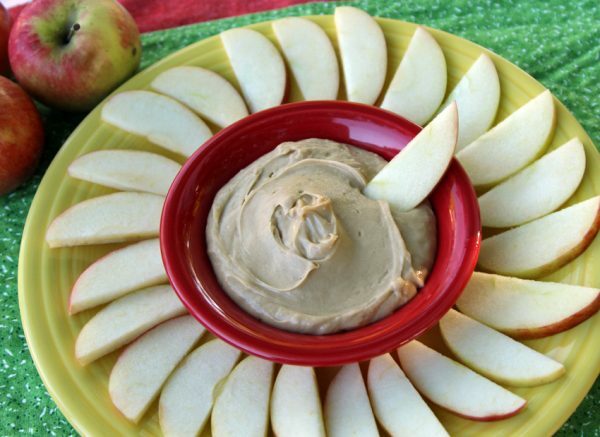 Tart varieties of apples are especially tasty with this sweet dip. Combine all ingredients in a medium bowl and mix until creamy. Chill for a few hours, or overnight, to allow the flavors to meld. Enjoy with sliced apples or other fruit. Optional: Stir in a handful of chopped nuts or mini chocolate chips. An electric hand-mixer makes quick work of this recipe. In fact, this is a great recipe for practicing with the hand-mixer. It doesn’t splatter much and is easy to mix, especially if the cream cheese is room temperature. My 2-year-old also loves packing the brown sugar into the measuring cup with a spoon. As you can see, my little guy is an enthusiastic helper! If I’m making this apple dip for a big group, I usually double the recipe. It holds up well in the fridge, if you have any leftover, and I think it tastes even better the next day. 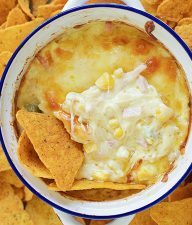 I promise this dip will be a huge hit with all of your friends and family. 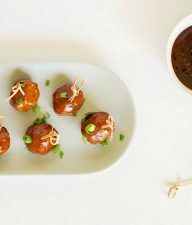 It will become one of your go-to recipes. This dip also makes a delicious frosting for apple or pumpkin muffins – yum! An electric hand-mixer makes quick work of this recipe. 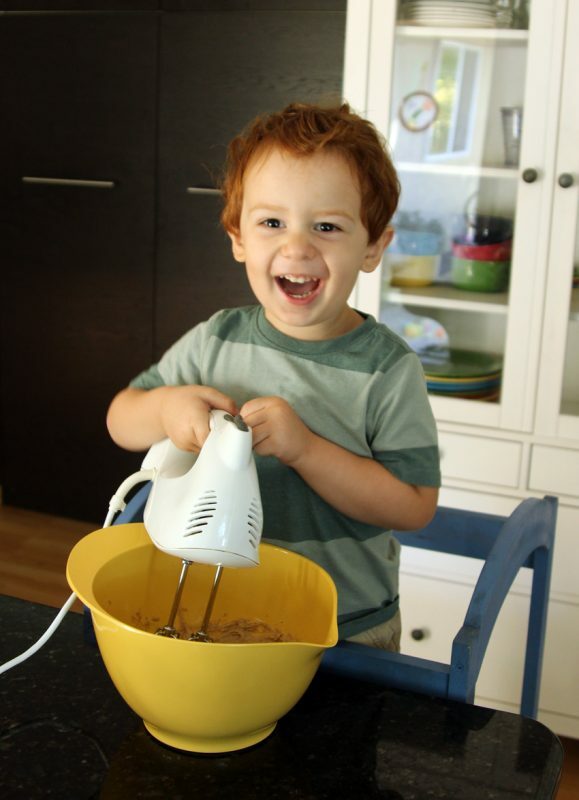 In fact, this is a great recipe for practicing with the hand-mixer. It doesn't splatter much and is easy to mix, especially if the cream cheese is room temperature. My 2-year-old also loves packing the brown sugar into the measuring cup with a spoon. As you can see, my little guy is an enthusiastic helper! 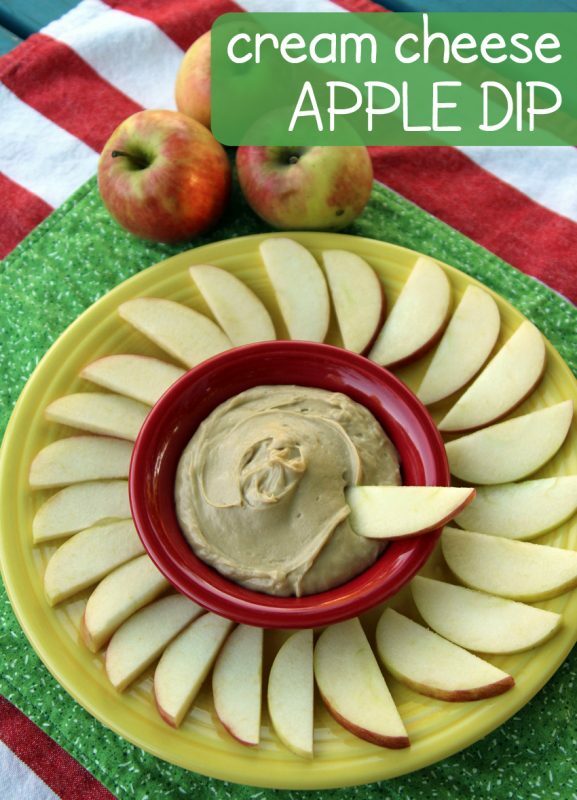 If I'm making this apple dip for a big group, I usually double the recipe. It holds up well in the fridge, if you have any leftover, and I think it tastes even better the next day. 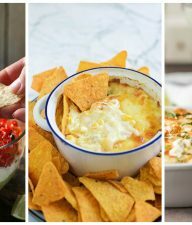 I promise this dip will be a huge hit with all of your friends and family. It will become one of your go-to recipes. This dip also makes a delicious frosting for apple or pumpkin muffins – yum! Kids can’t get enough dips? Try this chocolate yogurt dip or pumpkin pie yogurt dip for your next snack time. Both are so yummy!